Looking for a dealership that not only sells but also specializes in INFINITI parts for Chicago customers? 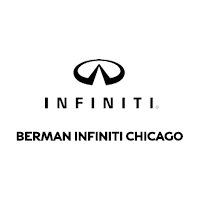 Berman INFINITI Chicago is your best choice. We have a huge variety of genuine and certified products for you to choose from. The experts at our INFINITI parts store will make sure that they understand your needs and recommend the appropriate products to upgrade your automobile. You can get in touch with them before coming down to the store at 312-476-8025 or browse our online inventory to get an idea of what we have on offer. If we do not have what you are looking for, we will make sure we get it for you at the earliest. So, if you are looking for genuine INFINITI parts in Chicago, you know where to go! Install genuine INFINITI accessories at Berman INFINITI Chicago and make its presence felt even more on roads. From custom grilles and hoods to spoilers and roof racks – no matter what you want; you name it and we have it! We deal only in genuine INFINITI accessories at our Chicago store, so rest assured that the quality standard of your vehicle will be maintained even after installing them. We’re a certified INFINITI retailer, so all the accessories we sell are covered by the INFINITI Parts and Service Limited Warranty. Want to check out our inventory yourself? Visit our Chicago INFINITI accessories department today; you won’t be disappointed!